I went combing through the US BD/DVD charts for April, and I found a pair of interesting results. 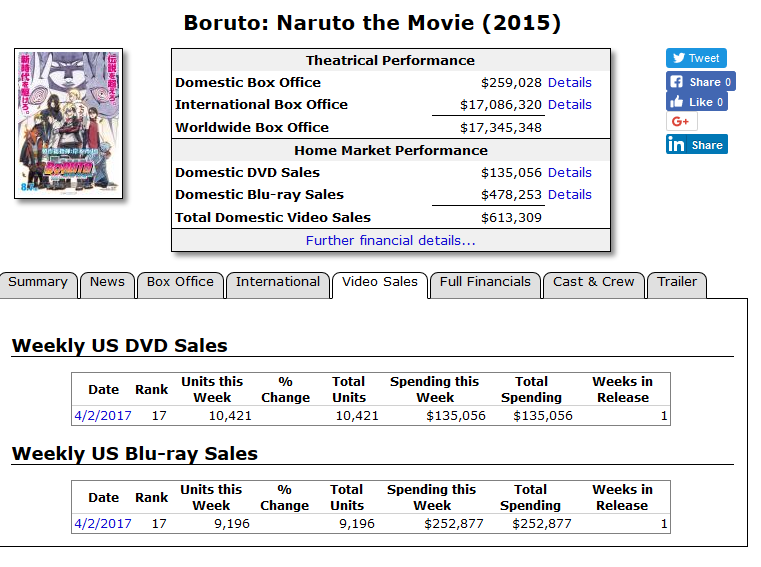 First, the Boruto movie sold 19,617 copies (10,421 DVDs, 9196 BDs) in its first week out. 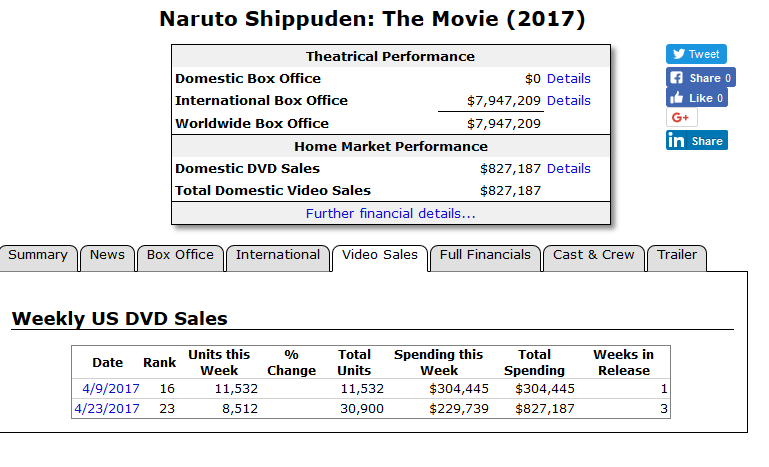 Second, the 30th DVD box set for Naruto Shippuden, which came out on April 4th, sold 11,532 copies in its first week, 30,900 copies over 3 weeks. Note that the 30th box set is labelled as Naruto Shippuden the Movie, but no Shippuden movie was released in early April 2017, while the 30th box set was. This would not be the first or the tenth labeling error the Nash DB would have made with regards to anime. Source pics after the jump. This entry was posted in Articles, Fun With Numbers and tagged Anime, Articles, Fun With Numbers, Naruto by torisunanohokori. Bookmark the permalink.